For over 40 years Joel’s Fine Jewelry has been a family owned, full service jewelry store dedicated to providing you with personalized service and quality unsurpassed. 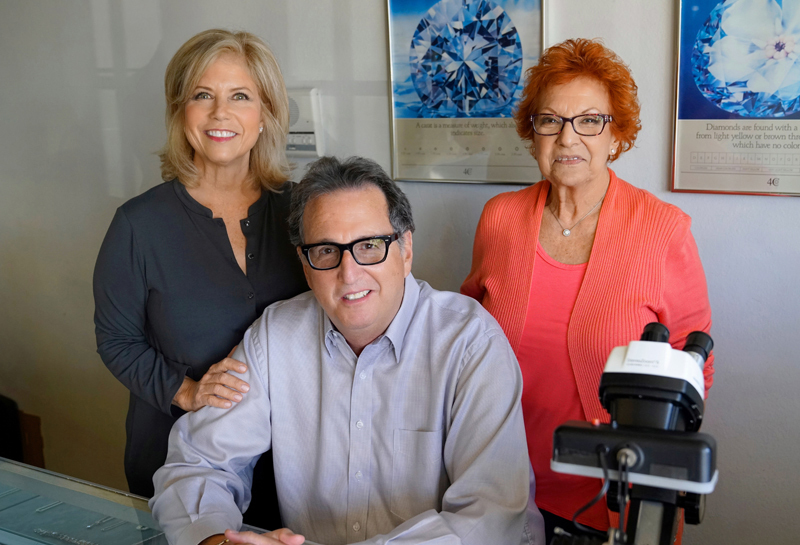 Joel Rosenberg, owner and founder, has a long history in the fine jewelry industry. He began as a jewelry manufacturer distributing finished jewelry throughout the United States. Eventually Joel evolved his business and perfected his craft to become a personal custom jeweler. G.I.A. (Gemological Institute of America) schooling and great mentorships have only built on his experience and versatility in working with diamonds, metals, estate jewelry, rare coins, precious, and semi-precious stones. With over 40 years in the jewelry business Joel has an eye for the finest quality and detail. Joel is known for his honesty, quality, and fair pricing. Those are the values that have been the foundation of the long-term, trusting, and family-like relationships he has built with his customers and their continuous referrals.